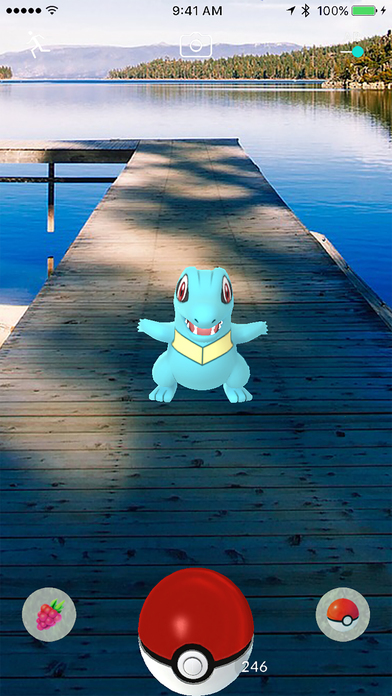 Level up your trainer in Pokémon Go with these tips. Earn XP the fastest way possible. 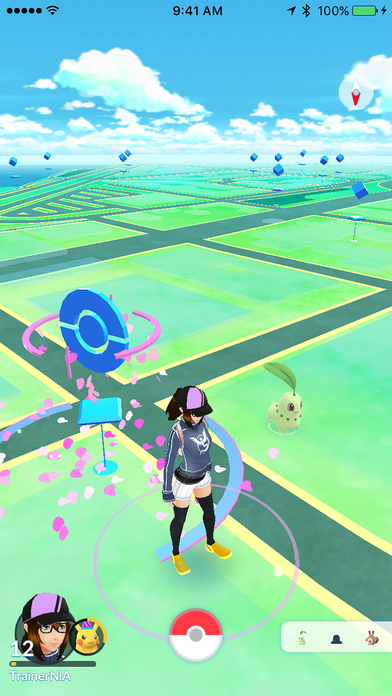 This Pokemon Go XP and Leveling guide explains the best methods for earning Experience Points (XP) and leveling up fast in Pokémon Go. Earning XP increases the player's Trainer Level, allowing for better Pokémon to be captured. Check out our Pokémon GO hub for more guides and tips that'll help you level up faster, earn more Candy, get more Stardust, and lots more! Now that Pokémon Go has been out for a while now, there's plenty to learn about how to be the best trainer you can be. However, capturing Pokémon is only one aspect of the game. A successful trainer must increase his or her Trainer Level by earning a steady flow of XP. The higher your Trainer Level, the better your chances of finding rare Pokémon. There are numerous ways to earn XP in Pokémon Go, and of course some activities are worth more XP than others. Players should focus on performing tasks that reward the highest amount of XP in order to increase their Trainer Level quickly and efficiently. Capturing, evolving, and hatching Pokémon are among the best ways to earn XP, aside from winning gym battles. We have listed the XP rewards for performing various actions in Pokémon Go, based on their XP bonus value. This one sort of goes without saying, but it’s still worth noting that capturing Pokémon nets you a decent amount of XP, especially when catching a new Pokémon for the first time. Capture as many Pokémon as you can, because you can always evolve them later and transfer any duplicates. Additional XP is rewarded for skillfully throwing the Pokéball to capture a wild Pokémon. There are three types of skill throws: Excellent, Great, and Nice. Try to aim the Pokéball so that the Pokémon is inside the smallest shrinking capture ring in order to pull off a skillful throw. Throw bonuses do not stack. A Curve Ball also rewards a small XP bonus, but requires a bit of practice. To achieve a Curve Ball, swirl the Pokéball in small circles and wait for it to sparkle before releasing it. If you’re swirling it to the right, aim to the left, and vice versa. Evolving Pokémon is just as important as capturing new ones. To power up and evolve your Pokémon, you will need Candy and Stardust. If you catch any duplicate species, you can transfer the lower Combat Points (CP) duplicates back to the Professor in exchange for Candy, which can be used to evolve that Pokémon type. The ones with low CP are weaker fighters, so you’ll want to transfer those and evolve the one with a higher CP. You can then power up your remaining strong Pokémon even further to prepare them for gym battles. We've put together a complete guide on how to get Candy and Stardust in Pokemon Go. You can find all the info you need over at our Pokemon Go Candy and Stardust Guide. Incense and Lure modules can be used to attract more Pokémon to your location, allowing you to catch more Pokémon and increasing your chances of finding new ones. Incense lasts 30 minutes and is best if you are planning to walk around. Pokémon will be attracted to your location as you move. Lure modules on the other hand are intended for Pokéstops, increasing the Pokémon frequency at that particular location. This means you will have to remain at the Pokéstop to benefit from the Lure. The upside to using the Lure module is that it works for multiple trainers at the Pokéstop, so consider using a Lure when at a stop with other players. Lucky Eggs, not to be confused with regular Pokémon Eggs, are consumable items that increase your XP gain for a period of time, and can be purchased with PokéCoins within the Shop panel. After using a Lucky Egg, you’ll earn double the XP for a duration of 30 minutes. Be sure to use one before performing high XP tasks, such as evolving or catching Pokémon. Hatching Pokémon Eggs grants a decent amount of XP, but requires specific steps to accomplish. In order to hatch a Pokémon Egg, you will need to incubate the egg while travelling a certain distance. Pokémon Eggs can be obtained at a Pokéstop along with other items. Once you have acquired an Egg, place it into an incubator by tapping Start Incubation within the Eggs tab. Only one Egg can go in an incubator at a time, but you can purchase additional temporary incubators with real-world money if you wish to hatch multiple eggs. While the Egg is in the incubator, you must travel for a certain distance with the app open in order for the Egg to hatch. Keep in mind that rarer Pokémon will require more steps than common ones. You must keep the app open during this process so that the app can track your steps. Your steps won’t count if you go over certain speeds, so don’t bother doing this while driving. Your Pokémon Egg will hatch after walking the allotted distance for that egg, earning you additional XP and a new Pokémon for your collection. For the first time you catch a Pokémon or spin a PokéStop each day, you’ll be rewarded with a 500 XP bonus. That’s the same amount you’d get if you evolved a Pokémon, so certainly not bad for an extra incentive. However, if you can do this for seven days in a row, you’ll be rewarded with a whopping 2000 XP! This really helps with levelling, and better still, you’ll get a guaranteed evolution item for a seven day PokéStop streak. Not bad! For more Pokemon Go help why not take a look at our guide to on how to find shiny Pokemon in Pokemon Go.